Product code: ES1477 Categories: Sold Items, Sold Rings. The Art Nouveau era of the late 1800’s to the early 1900’s produced some fantastic pieces of jewellery, and this antique Art Nouveau era sapphire and diamond ring is no exception. Hand made in 14ct yellow gold and platinum, the ring has such a free flowing design to it and looks really amazing on the finger. 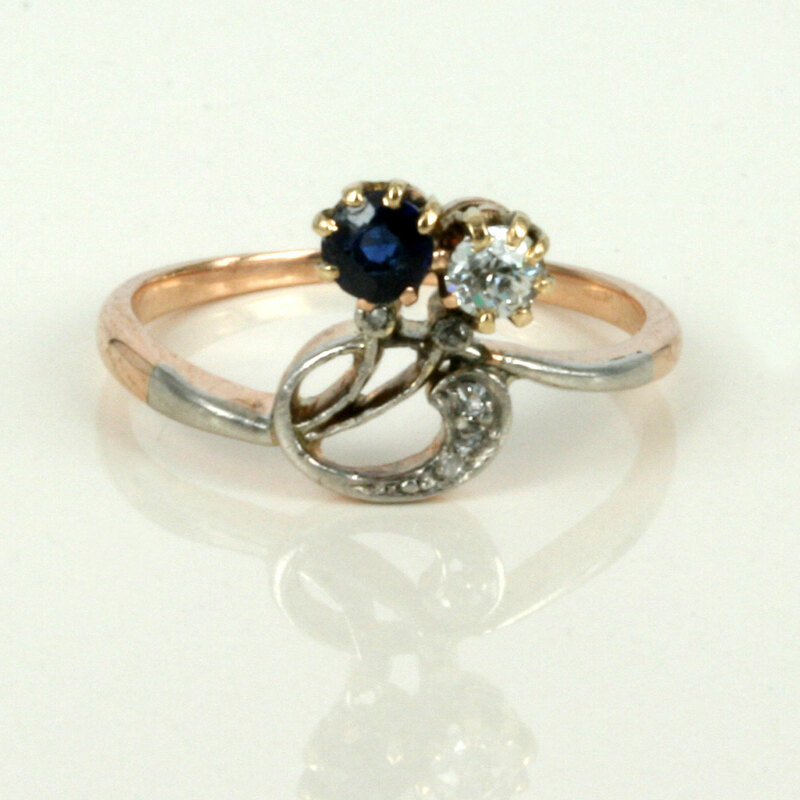 Art Nouveau rings such as this one will always be admired and commented on, and with its design, can be worn both ways on the finger and always look good. 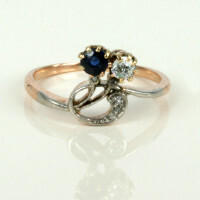 This is a wonderful design for a ring, and certainly one that is very unique and special.